Did you know that African elephants could become extinct in as little as TWO years? Elephants are one of the world's most dazzling and majestic animals, but they are rapidly disappearing from the wild because they are HUNTED for their ivory. In just the last 90 years, over 95% of African elephants have been totally WIPED OUT — poachers are massacring them to make chopsticks, hair pins, and trinkets. It's HORRIBLE. We can't wait any longer. It's time to STOP the slaughter of innocent elephants — but we can't do it alone. 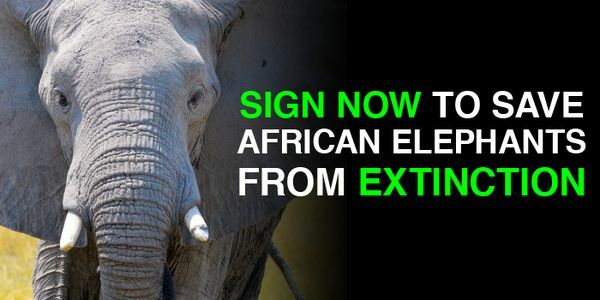 So we need 5,000 people to pledge now to help SAVE African elephants from extinction. There's no time to waste — please sign the pledge now!